As rock and roll passes from a mainly youth phenomenon of the 1950's into its sixth decade, the question arises. Is there a time that old rock stars should quit attempting to play the twenty-year old rock star? Will stars show that rock and roll is timeless? For every Chuck Berry and Rolling Stones that you still have touring , you have the groups that make a mockery of their past glories. I'm not gonna name names, but you know which ones I'm talking about. They usually have only one original member (sometimes that is not even the case) and pretend like they are the real deal. 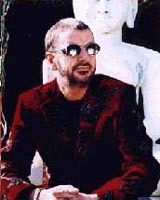 I recently went to two concerts by "rock stars" of the 1960's, Ringo Starr and the Beach Boys. Each had a different approach to showcasing their past. What was so depressing about this show is how far downhill the All Starr Band has fallen. This is sixth version of the band. Sure, the All Starr Band sounds good in concept-a totally new lineup each year consisting of the members of previous, hit rock bands of the past. The problem this year was his choice of sidemen. If members of the Rasberries and Bad Company are as good as you can get, its time to go to Vegas! The ONLY highlights of the show were few and far between. Jack Bruce (of Cream fame) did a very capable version of "Sunshine of Your Love", complete with the obligatory bass solo. I was hoping Dave Edmunds would get to do a few Rockpile tunes! But sadly, he only got to do his big hit, "I Hear You Knocking" and a superb acoustic set (he played an awesome version of that song I normally hate, "Classical Gas"). 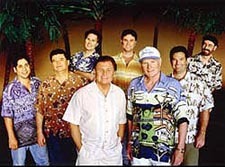 Mike Love's current lineup of the Beach Boys (sacrilege to call it that without a single Wilson in the band!) seems to be stuck in a time warp. Its songs about surf, cars and cheerleaders all the way. Sung to you by a man in his sixties. But as much as people like to put Mike down, the concert was entertaining and Mike is the consummate showman (well, he has had several decades to perfect it!). And while you have to put up with his bad jokes, Brian Wilson snide remarks and even had local cheerleaders up on the stage, Mike's incarnation of the Beach Boys had the audience on their feet during most of the show. The band was very capable (unlike Ringo's oldie review) and you could close your eyes and almost believe it was the Beach Boys. While they did play seven songs that Brian Wilson is also playing on his current tour, I was surprised me with one gem that Brian isn't playing, "You're So Good To Me". The rumor is that Mike only has 5 years left to tour, a statement he supposedly made in his latest litigation fiasco. So, would I see Mike's version of the Beach Boys again? Sure, I kind of want to see how long he can do it (again).